How do you carry on the legacy of a great individual? A start is by remembering what they taught. Another is to put those teachings into practice. Earlier this year, the world lost two great individuals: John “Jack” Bogle and Herb Kelleher. Jack was the founder and longtime CEO of the Vanguard Group, bringing to market the very first index fund available to individual investors in 1976, the Vanguard 500, and grew The Vanguard Group into one of the world’s largest investment management companies. 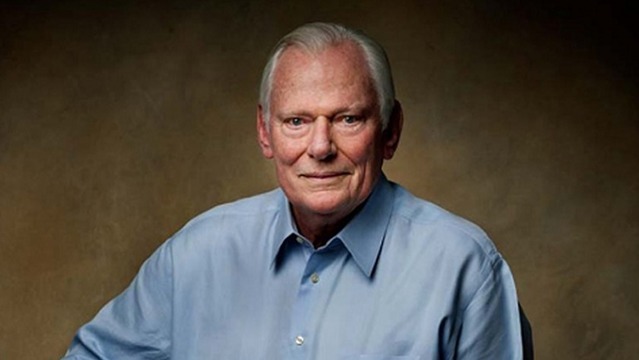 Herb Kelleher was the founder and longtime CEO of Southwest Airlines, who is recognized for revolutionizing low-cost air travel in the U.S.
Each one engaged Conscious Capitalism in his own way. Herb endorsed the book Conscious Capitalism with this: “Conscious Capitalism is a welcome explication and endorsement of the virtues of free-enterprise capitalism—properly comprehended, there is no more beneficial economic system—and a simultaneously pragmatic and inspirational extolment of higher purpose and humanism in business. 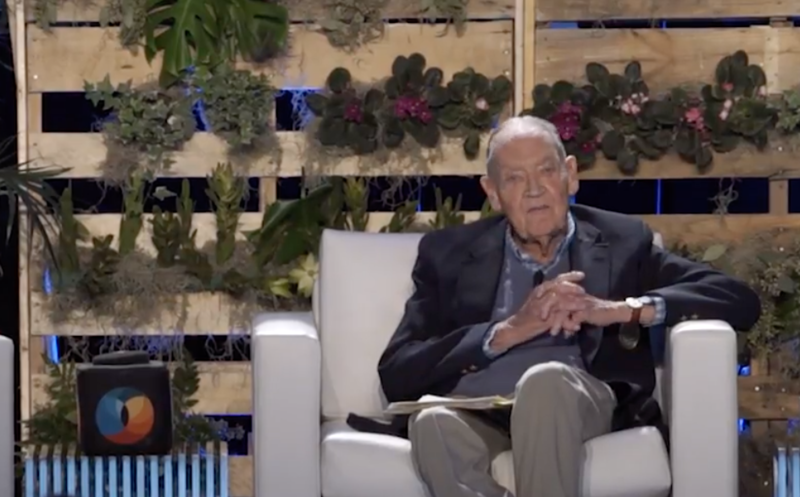 I hail and revere the tenets of Conscious Capitalism!” Jack spoke at the 2017 Conscious Capitalism Annual Conference, with the full video available here. That means providing opportunities to customers that were previously not available. Both are known as democratizers. Jack is known for democratizing stocks and bonds, making them more accessible for more people. Kelleher is known for democratizing the skies, making air travel more accessible for more people. Jack and Herb made big business out of making industries more accessible to more people, both for those they served and those who served alongside them. They practiced and preached the power of business to make people’s lives better. They were giants not only in their industries, but also in capitalism, more broadly. Let us remember what they taught. Let us keep them alive by standing on their shoulders. Observations from My Sight Visit to the Barry-Wehmiller Papersystems (BWPS) Plant in Phillips, WI. The owner, Bob Chapman, together with Raj Sisodia, wrote about his people-centered leadership philosophy in the acclaimed book, Everybody Matters! The Extraordinary Power of Caring for Your People Like Family. Conscious Capitalism Inc. arranged this sight visit for an intimate group 12 visitors – CEOs, presidents, founders, owners of private and public companies. As an experienced management consultant, I wanted to see, firsthand, how the Everybody Matters! philosophy had changed the plant’s culture and impacted the business. It did. In very positive ways. Falling in love with Jeff. At our arrival dinner, I was seated with Jeff Stilts, one of the front line team members at the Barry-Wehmiller Papersystems plant. Jeff and I had a lot in common. We both have small town backgrounds — fishing, making up our own games, the community feeling. Jeff asked and listened in a way that bridged any differences in our job levels, education, gender, or geography. Jeff is talented and common sense smart. I asked him why he didn’t teach for the Barry-Wehmiller University, which is staffed by BW team members. He replied that he still had children at home and didn’t want to spend time away from them traveling. A rock-solid ethic for work-life balance was important to Jeff and BW respected that. Jeff certainly would have been an outstanding instructor. What Jeff did not tell me about himself was that he had significantly influenced the culture and direction of the company. In 2002, Jeff was a member of the employee group that wrote the company’s Guiding Principles of Leadership (GPL). I felt that I had missed the chance to talk with him about how a group of employees came up with these ideas. It would have been like learning about the US Constitution from one of its writers. Darn your humility, Jeff. As dessert was being served, we took turns introducing our partners to the larger group. I began by saying; “People will talk about us because I fell in love with Jeff tonight.” Yes, a funny factoid for a small town. But I was very impressed by Jeff’s innate skills. I wanted everyone to appreciate Jeff. Barry-Wehmiller Papersystems makes the machines that make different types of packaging. Each machine is custom-made. This factory is not an assembly line; it is an assemblage of craftspeople who work on the various parts that make up the customized machine. Sheet metal fabrication – Welding – Painting – Building electrical panels. We got to the plant the next morning. As I checked in to get my hard-toed shoes and safety glasses, I was asked, “Are you Kris?” Jeff had already told them about our encounter. But this was not negative small town gossip. He had passed along a vibe that made me feel welcomed, accepted, and gladly anticipated. This is what I experienced with all the other BWPS team members – how well they treat guests and each other. Now on the factory floor, I could see firsthand how this openhearted harmony worked. Dennis Lemke was our wise guide. Once an engineer and now a VP at the plant, Dennis could point out how this people-centered culture helped productivity. He told the story about the job sheets. A job sheet contains the exact directions to do a job task — the learnings, short-cuts, and cautions from the expert who has mastered the task. A job sheet would quickly guide someone to execute the task. But at one point, employees had not written many job sheets, for fear that someone could take their job. The BW culture had turned this fear to trust during the 2009 economic downturn. The challenge — how could the business survive a 40% cut in contracts with not one lay off? BW implemented a self-directed share-the-pain solution. They designed furloughs that employees could schedule and barter. Once employees saw that no one was going to lose their job, there was no further reason for fear. As evidence of the wellspring of goodwill, today there are 17,000 job sheets. Now, when sales at one plant are slow, they are able to “flex” inside the building and serve their sister companies. The BW plants are a coordinated resource to each other. BW plants reduce the need for outside contracting and expense because they know how to do the work themselves. In the plant, there is a prominent Recognition Board full of pictures of awards and parties. It seemed as sincere and spontaneous as a kitchen refrigerator with many photos of the kids’ recitals and graduations. Awards are freely given and very cherished. Most awards are from peer nominations. During one of the team member panels, Jennie Bruner told her personal story of becoming a “Customer Trust Leader” because many people encouraged her. “I learned that I had something to offer people.” It’s stunning to have your co-workers value you. Barry-Wehmiller also recognizes and celebrates people simply to let them know they matter. There were pictures of parties – birthday parties, company anniversary parties. The factory has a very High Touch, Low Tech design. Tracy Williams, who is on the front line of Customer Trust, was the first winner of the GPL prize – for exemplifying the Guiding Principles of Leadership. She came to talk to us wearing her red shirt. For her, it was an extraordinary award. Sometimes, she has to do an unpopular task. After the sale, if a customer’s machine is down, Tracy may have to take a completed, working part from a machine in progress and ship it to that customer so they can get their plant running. As she puts it, it’s better to have havoc with a BW production schedule than have a customer who is unable to work at all. Talking about Culture and Leadership. Now that we had seen that the people-centric culture worked, we had questions about how to achieve it. Fortunately, the sight visit gave us more exposure to BW team members, to Bob Chapman and to the other designers of the company’s culture. Brian Wellinghoff kicked off the discussion. He had started as an engineer and moved on to be one of the BWU instructors. He explained Barry-Wehmiller’s concept of culture. There are four components — Compassion. Integrity. Consistency. Competence. Which element comes first? Most businesses would start with Competence. Barry-Wehmiller turns around the sequence. Compassion comes first. They believe that good people will give you good performance. He explained that we develop people from the inside out. Dennis Lemke provided an example of how to apply this model. At the plant, Dennis used “responsible freedom” on Mike, a project estimator. His job is to cost out a bid for a multi-million dollar machine. Mike would spend 40 hours to price a machine yet it would take him only a few seconds to give an estimate. But he was afraid to be wrong about his estimate. Dennis said, “We instilled belief in himself so he could do a quick quote. This really supports our sales department.” This is one example of using trust to build performance. Shayne continued, “Culture is a commitment. This shift in mindset requires patience. Leaders are expected to practice that “courageous patience” along with deep listening and authentic vulnerability. Shayne explained that it took over six years to build culture at this plant. “We wanted to build a culture that would last. Now we have our culture in everything we do — Safety. Leadership. Documents (such as the Guiding Principles of Leadership). Barry Wehmiller University. Vision of Service. Wellness. Wrapping up the Sight Visit. This sight visit was ably designed by Conscious Capitalism, Inc.’s Chief Strategy Officer, Amanda Kathryn Roman and Barry-Wehmiller Leadership Institute’s partner, Brian Wellinghoff. It was a skillful blend of large and small group interactions, panels, and the plant visit. The Barry-Wehmiller way is to allow visitors full, unrestricted access to team members. Nothing is scripted. Everything is real. About the author, Kris Schaeffer. During the sight visit, I had an inspiring one on one with Bob Chapman. “Bob, I flunked retirement twice.” Bob looked directly at me. “You retire when all you have is work. You don’t retire when your work is a calling.” What is a calling? Something good for the world; good for me; and ####. What is my calling? Helping business to be a force for good. I have worked on organizational culture for forty years. “Every company has a culture, but few by design.” Culture is not a quick fix but rather a steady, iterative effort over time. We get there by using a combination of six “cultural levers” that create systemic, sustained organizational change. Today, I work with Conscious Capitalists to convert their vision and values into operational practices. “Values are exhibited in behaviors.” We use this model for change: The organization inspects leadership, structure, and process; while the individual level looks at people, tasks, and rewards. When these levers are aligned toward the company’s values, the right actions occur. The Barry-Wehmiller sight visit confirmed this. In the spirit of tomorrow being Valentine’s Day, I want to share my love and appreciation for all of you who are Conscious Capitalists, working to elevate humanity through business and build the Conscious Capitalism movement. 2018 was an incredible year for Conscious Capitalism. We had our largest gathering of Conscious Capitalists to date, our first international conference, the opening of new communities of Conscious Capitalists now totaling 50 communities in over 14 countries, new programs to help business leaders implement the four tenets of CC at their companies, and more media attention for Conscious Capitalists than ever before. We are building community locally, regionally, and globally. Locally: Conscious Capitalists are in over 14 countries around the globe building local communities to advance Conscious Capitalism. These chapters and communities are introducing Conscious Capitalism to new audiences and deepening their own practice and understanding of CC. You can find many of them in a single location online now. Regionally: The 2018 Conscious Capitalism European Conference was our first foray into growing communities regionally outside the US. In 2019, the Conscious Capitalism network is growing with 3 Regional Conferences outside the US underway in Brazil (next month! ), Europe and India. Globally: The 2018 Conscious Capitalism Annual Conference was the largest Conscious Capitalism gathering ever; and in 2019, we’re putting together an even bigger and better CCAC for the global Conscious Capitalism movement in Phoenix, Arizona. And I am pleased to share that the 2019 CEO Summit will be themed around Raj Sisodia’s new book, coming out the month beforehand, titled, The Healing Organization. In addition to connecting with high caliber and quality peer leaders throughout the Summit, participants will hear from and work with business leaders featured in his book to explore how to turn their own businesses into Healing Organizations. Last year, Conscious Capitalism, Inc. piloted several programs to help business leaders better understand Conscious Capitalism in action and help them put it into practice in their businesses. This included “Sight Visits” to companies like Barry-Wehmiller and Greyston Bakery, speaking engagements at conferences and businesses, and workshops on Conscious Capitalism for organizations who wanted to go in-depth. CCU – We have launched CCU — designed to help you solve the challenges of practicing Conscious Capitalism; all CCU offerings are built with YOU in mind. CCU provides learning opportunities for individual Conscious Capitalists to go deeper in their practice and application of the Conscious Capitalist Credo and the four principles of Conscious Capitalism…and this is just the beginning. Wherever you are on your journey as a Conscious Capitalist, CCU offerings will help you get to the heart of your practice. We currently have two CCU offerings available: Inner.U, an online course to support your conscious leadership development, and the Conscious Capitalism Consultant Certification Program; we will launch more offerings throughout the year. Learning Labs & Immersive Experiences – In-person gatherings to help business leaders put Conscious Capitalism in action. You can enroll now in Awakening Conscious Leadership by diving deep into a one-day CCU Learning Lab and 6-month learning that will take you on a personal journey to identify your soul’s calling and uncover the practical pathways to help you achieve those higher goals through your business. And for CEOs and Founders, we have a special invitation for you to join us on an Immersive Learning Exchange on The Founder’s Journey, a fully immersive exploration into the heart of the Amazon rainforest. Conscious Capitalism in Action – On our new website, you can also find tools and resources that will help elevate your story and experiences as a Conscious Capitalist around the world. We invite you to share your personal story, and the story of your company; use The Speaker Connection to request and refer speakers for events; and join the Global Conscious Capitalism Sight Visit Network of businesses around the world who are changing the practice and perception of business as a force for good. Share your company’s story with the community that surrounds your office. Conscious Capitalism, Inc. will provide you with an agenda, talking points, slide-deck, press release and more to support you in hosting a successful Sight Visit at your business. You and your team will have the opportunity to offer first-hand access and direct exposure to the operational tactics of living and leading a conscious business. Together, we will spread your story and highlight your business as a model of Conscious Capitalism in action. For those who want to learn more about what this means and looks like, you’ll get a taste of all this at Conscious Capitalism’s conferences and gatherings throughout the world. We want to share your story with others. Marketing – CCI is ramping up our marketing of what is going on in the Conscious Capitalism movement, both what we are doing as an organization and how the leaders in our global network of conscious businesses are making an impact. PR – This past year, CCI placed over 100 media hits on the Conscious Capitalism movement and our community members. This year, we are going to do even more to help Conscious Capitalists receive the recognition they should and inspire others to join us on the conscious leadership journey. CC Press – We are thrilled to have partnered with Round Table Companies to launch Conscious Capitalism Press. In 2019, we will begin to publish books aligned with Conscious Capitalism’s principles to build out the thought leadership of Conscious Capitalism and provide more material for others to learn about how conscious business is a force for good that is elevating humanity around the world. Look out for books from Safwan Shah, Sunny Vanderbeck, and others launching soon. If you want to be one of our founding authors, learn more here. Join us for the CC Press Launch Event at the 2019 CCAC! CCI is rolling out a new partnership program to recognize businesses that are on the conscious journey, provide them with support to deepen their practice of Conscious Capitalism, and to share their best practices with others in the global business community. We now have a badge for Conscious Capitalism Partners to use online and in print as an outward symbol of our shared commitment to this movement, but this partnership will be more than just that. It will be an active and engaged relationship with Conscious Capitalism, Inc. that will provide support for the business in furthering its conscious journey, and each business will be working with Conscious Capitalism, Inc. to build the depth and breadth of our community. Online Application – If you are interested in becoming a Conscious Capitalism Partner in 2019, you can apply here. New Benefits – Conscious Capitalism Partners will receive access to more events, learning & development resources from other Partners, and celebration of their Conscious Capitalist journey like this month’s featured partner, EchoPark Automotive. Longtime Supporters – I want to thank our current Conscious Capitalism Partners for their support in 2018 and over the years who have contributed to the birth of the Conscious Capitalism movement. Most of all, I want to thank you for all that you are doing to build the Conscious Capitalism movement. You helped make 2018 our best year yet. And with your help, we are going to have an even better 2019! Families share stories of adventure, obstacles, and heroism, passing down these tales along with photos, mementoes and often-repeated tales that become part of who we are. Some families pass along narratives about how great-grandparents made their way to a new nation or state. They’re origin stories and every tribe has one, including yours. When you capture your business story and share it with others, two things happen. First, you invite people to understand who you are, not just what you know or your expertise. Second, you inspire them to conspire in your favor and help you manifest a new future that doesn’t currently exist. Simply put, you light up those who are your people while repelling those who would otherwise waste your precious resources. Writing a company story is not about boosting your own ego. It is about establishing a profound trust with your audience by inviting them into the multi-dimensional journey of your company’s ups and downs. And yet, we know that people make decisions based first on emotion and then on logic that supports that emotion. Emotion becomes available when you authentically invite readers in. The gritty struggles that make your business the one it is today are paramount. Few people can relate emotionally to a linear story of sequential successes. That isn’t authentic to our experience of life. Just try and get emotional when reading a resume! Instead, it is in our falling that we see ourselves in each other. Share the times you fell and then how you rose again. People will literally curl up in bed with your book if you allow them to see your business for who and what and why it is. Corey Blake, founder of Round Table Companies, points out that readers will snuggle under the covers with a story and hope for a profound enough experience that they wake up the next morning feeling changed. If your story resonates with them, you’ve created a fan for life. These are the people who become your future partners, investors, or new talent. Your story is a building block, a reference for future stories. Let your failures and successes inspire others to fail better and faster on their own way to impacting the world. As a company, you want to articulate the core essence of your purpose in a way that demonstrates the contribution you are making to the world. Imagine the impact your story could have on current and future readers. What lessons could you teach? What innovations could you instigate? Your business story matters. Write that book. Share that journey. Change the world. If you’re interested in writing your book and publishing it through Conscious Capitalism Press, you’ll find more information here. It’s nearly midnight on a Friday, and there you are: sitting on the living room couch, a cup of hot tea in your hand, and your dog (or cat) snuggled up beside you. You need the dog/cat, the tea and any other comfort you can get. You are, finally, about to read through the first full draft of your book. Sure, it’s a business book, but it’s a book about YOUR business, and everything about your life is on display there. Reading a badly written paragraph, you’ll hear the devil cackling at the humiliation you’ll feel when everyone, everywhere, can read your thoughts and do a full-scale inventory assessment of all your life’s decisions. WHY did you do this? What on earth possessed you to make yourself so vulnerable? It had seemed like a good idea at the time; after all, your business is your pride and joy. When the idea to start your business had first crossed your mind, you had the sense to grab it and begin considering it when others would have waved it away. You saw the merit and the questions. But instead of giving in to doubt, you kept searching, resolving problems, seeing new possibilities. People shook their heads, and some days you feared they were right, but you kept on breathing more life into it every day (and so many countless nights) until it began to pulse with its own energy, attract the interest of others. Your business grew in ways you’d never expected, until here it is, today, a thriving business that supports not only your family, but many others, too. A business that was once a concept now makes a difference for its investors, employees and customers. Of course you wanted to tell this story! So, just as you set out on the task of building the company, you set out on the adventure of writing about it. You committed yourself to sharing an honest, authentic tale that engages others on every level. You found a brilliant team who could act as your champions, help you find the essential moments of your journey, and bring them to life. For a year you’ve been exploring with them, watching your ideas, thoughts, the beauty of your life bloom into language. You’ve added layers to your understanding with every conversation. This understanding becomes part of you, adds a dimension to your relationships and the way you think about your business. In turn, it has opened up new avenues of communication and possibility. As you share your new way of seeing with others, those of like minds are inspired by your humanity and your energy (because this self-inquiry always brings a new burst of energy), and they are drawn closer. This is the truest benefit of sharing your story: meeting new minds, finding new links between people and sometimes between unlikely people. In writing the book, you’ve brought your deepest humanity to the forefront, and sharing that has had a magnetic effect. You’ve heard authors talk about this benefit often, and they’ve likened it to that glorious feeling of breaking the surface of water after a deep, joyful dive. You recall that before you dove you stood at the end of the board, vacillating. Your business was growing, yes, but hardly at the Fortune 500 level. Was it hubris to imagine anyone would be interested? Surely a book would reveal you as an ordinary schlub, and your company, your gorgeous invention, as a mediocre idea. You’ve got plenty of problems already, so why take on another? Maybe next year, you told yourself. You reasoned that you’d be older and wiser by then. And still, you’re a person who takes the leap. You dove into business, you dove into writing the book. A step, a jump, a flight over and into a new element. So here you are, with the manuscript on your lap, the tea, the dog/cat, the cozy couch, and the courage to face whatever it is you are in the process of making. You’ll have grown through the writing process, considering your values, understanding them in all of their aspects, capturing them in vivid language so others could take them in. After all this work, you’ll be a far better representative for the company now that you’ve wrestled your unique mission into words. Even better, you will be filled with grateful pride, knowing that you recognized the worth of your story, looked back over the path that brought you here, and, in so doing, clarified the path ahead. You’ll have taken it seriously, having made this investment in yourself and your company’s future. You told the world that you and your mission matter by your actions, and you proved it, page by page. Make 2019 the year you engage on the deepest level with your central ideas and beliefs, the year you attract allies and supporters through the clarity of your vision; make this the year you write your story. Every one of us wants to touch the lives of others. When we fully share our stories, we offer more of ourselves and welcome more from others; we open a door to understanding, learning and collaboration. It’s nothing less than the first step to making a real difference in the world. If you’re interested in writing your book and publishing it through Conscious Capitalism Press, you can find more information here. In the current business landscape, the chief executive seat is often held by leaders with short-term outlooks who move from one company to the next. According to a recent Equilar study, the median tenure for CEOs at large-cap (S&P 500) companies was just 5 years at the end of 2017. This year marks a milestone in my career—10 years as CEO of Boston-area education technology company Curriculum Associates. When I started during the financial crash of 2008 (a likely indicator of a short tenure if there ever was one! ), the company’s chairman presented me with a contract with 20-year terms. I thought he was insane. Today at the halfway mark, I realize how wrong I was, as this long-term commitment is our company’s strongest competitive advantage. One of the most important things I’ve learned from leading with a long-term lens is that hiring one stellar recruit is far more exciting—and valuable—than landing a massive order. I’ve seen time and time again that our people are our most valuable asset and key to sustainable success. This lesson was hammered home for me when chatting with a district superintendent (with whom we have a multi-million-dollar contract) who told me plainly, “I love your company, but if [my account manager] Mike leaves, I’m going with him.” Our people and the trusted relationships they nurture are what set us apart, and I’ll choose a Mike over a million dollars every time. I believe in hiring people, not filling positions, so I spend more than 50 percent of my time as CEO recruiting and hiring talented individuals that are not only the best fit for the role, but also the best fit for our values and culture. As a result, we‘ve had remarkably low turnover (less than 8 percent), and the average length of stay for employees is over 13 years. I believe great CEOs are those who listen best, encourage employees to advocate for what’s needed, and then (most importantly) don’t screw it up. I learned early in my career that in any organization, the people who know the most are those actually doing the work. In my first leadership role at Kaplan Educational Centers, I was thrown into their worst performing center. Quite frankly, I was scared, and I asked the office coordinator what I should do. Long story short, Gloria knew best, and I can only take credit for having the wisdom to listen to her. Implementing her practical ideas led our turnaround, and within months we saw a 50 percent increase in sales. At Curriculum Associates, I take listening one step further, inviting every employee to participate anonymously in my annual review. I’ll be honest, sometimes their feedback is hard to hear, but I report the results to the entire company nonetheless. I also require that the board tie a portion of my bonus to employee satisfaction scores. This process has helped me become a better leader, and employees know their input is heard. A decade ago, I joined a sleepy print publishing company that was deeply impacted by the market crash. A CEO looking to spend a quick couple of years pumping profits would have been well advised to run for the hills. My first job after college was at Morgan Stanley in New York City. After work, I’d lose the suit and volunteer at a local homeless shelter. It was in this environment, working with folks committed to societal change during the height of the crack epidemic, that I understood the power of purpose. Organizations driven by values and not solely by their bottom line will always work harder, making them difficult to compete against. When your customers and employees see this commitment, they will stay with you. One of the main things that drew me to Curriculum Associates was the fact that a focus on giving had been baked into their corporate structure from the start. The great honor of my career came last year, when I managed the gift of majority ownership of our company and proceeds of approximately $200 million to charity. Historic philanthropy at this scale is not realistic for most businesses, and I’ve learned that prioritizing good corporate citizenship does not simply mean writing big checks. Service at our company takes many forms, from our voluntary decision to raise the company’s minimum wage to $15/hour to pairing every customer with a dedicated support team. Working with leaders across sectors through organizations like Conscious Capitalism, I’ve seen how a purpose-first approach shapes culture and can be a company’s greatest competitive advantage. As with any long-term adventure, these 10 years as CEO at Curriculum Associates have been trying at times… but thrilling and fulfilling more times than I can count. It’s been the best decade of my career so far, and I can’t wait to see what the next 10 years will bring. Rob Waldron is a speaker at our upcoming Conscious Capitalism Annual Conference taking place April 23-25 in Phoenix, AZ. Visit conference.consciouscapitalism.org to learn more and register. Conscious Capitalism, Inc., the nonprofit corporation dedicated to elevating humanity through business, announced today the election of Kip Tindell and Raj Sisodia as Board of Directors co-chairmen. Tindell and Sisodia will seek to introduce the philosophy of Conscious Capitalism to more business leaders around the world while garnering new levels of engagement with the Conscious Capitalism organization. The Conscious Capitalist Credo expresses what connects these pioneering business leaders in a global network. They believe that business is good because it creates value, it is ethical because it is based on voluntary exchange, it is noble because it lifts people out of poverty and creates prosperity. Free enterprise capitalism is the most powerful system for social cooperation and human progress ever conceived. It is one of the most compelling ideas we humans have ever had. But we can aspire to even more. Conscious Capitalism, Inc. convenes and hosts these like-mind business leaders at world-class conferences that build the community; designs and offers learning and development experiences to support the growth of the business leaders; and serves as an advocate for the Conscious Capitalists and their successful business practices in order to change the perception of business in media and society to shape our culture. Kip Tindell is Co-Founder and Chairman of The Container Store, the nation’s leading retailer of storage and organization products — a concept they originated in 1978. Today, the company has stores across the country with over 11,000 storage and organization solutions designed to save space and time. Tindell is the author of UNCONTAINABLE: How Passion, Commitment, and Conscious Capitalism Built a Business Where Everyone Thrives, highlighting the retailer’s unique approach to business and culture, which guides decisions impacting The Container Store’s entire interdependent set of stakeholders, starting with employees and including customers, vendors, the community and shareholders. Tindell’s commitment to their employees landed The Container Store on Fortune magazine’s list of “100 Best Companies to Work For” year after year for nearly two decades, including number one twice. Tindell is a former Chairman of the National Retail Federation and currently sits on its executive committee. In 2015, he was elected to the World Retail Hall of Fame, which honors founders of some of the retail world’s most iconic brands. Raj Sisodia is the FW Olin Distinguished Professor of Global Business and Whole Foods Market Research Scholar in Conscious Capitalism at Babson College in Wellesley, MA. He is a co-founder of Conscious Capitalism, Inc. and has written numerous bestselling books. Sisodia is the co-author (with John Mackey, co-founder and CEO of Whole Foods Market) of “Conscious Capitalism: Liberating the Heroic Spirit of Business.” He co-authored (with Barry-Wehmiller CEO, Bob Chapman) “Everybody Matters: The Extraordinary Power of Caring for Your People Like Family,” which was named Best Leadership and Management book of 2015 by 800-CEO-READ and one of 15 best books of 2015 by Forbes. His book “Firms of Endearment: How World Class Companies Profit from Passion and Purpose” is considered a foundational work in explaining the precepts and performance implications of pursuing a conscious approach to business. His most recent book, published earlier this year, is “The Conscious Capitalism Field Guide: Tools for Transforming Your Organization” (co-authored with Timothy Henry and Thomas Eckschmidt). To learn more about the movement dedicated to changing the practice and perception of business so that it is recognized as a powerful force for good, visit ConsciousCapitalism.org. Conscious Capitalism, Inc. is the 501c3 nonprofit corporation dedicated to elevating humanity through business. The practice of Conscious Capitalism includes implementing the tenets of Higher Purpose, Stakeholder Orientation, Conscious Culture and Conscious Leadership. Founded in 2010, Conscious Capitalism, Inc. has offices in San Francisco, New York City and Detroit. The international organization serves a global movement of Conscious Capitalists by producing transformational events and learning opportunities to inspire, educate and connect a growing community of leaders around the world interested in advancing the practice and perception of business as a force for good. Every business leader, no matter how conscious, no matter how successful, keeps a tight focus on growth. More clients, better talent, higher productivity, reduced expenses. Give me those, he or she says, and I will be able to relax and think about telling my organization’s story. What if telling your story is the route to growth?